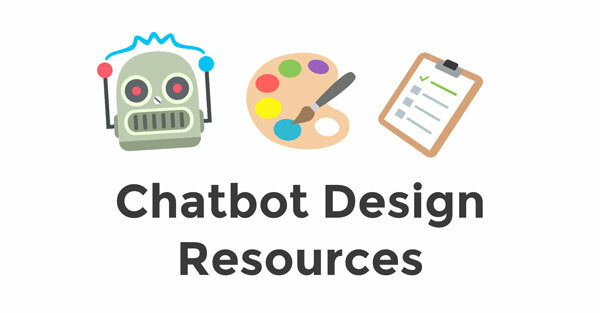 List of Chatbot Design and Prototyping Resources. Right now, it seems like everyone keeps focusing on the development part of messaging bots. Whether it’s the large amount of bot makers popping up to help create bots, or the question if current artificial intelligence and natural language processing capabilities are enough–it’s always about the technical stuff behind bots. However, we believe the user experience part in chatbot design is highly underestimated. There is a clear lack of resources that concentrate on the part that helps design, prototype, and test great experiences within messaging apps. This is why we compiled a list of current tools that might help you out. Enjoy! Not sure how the experience might look and feel like? 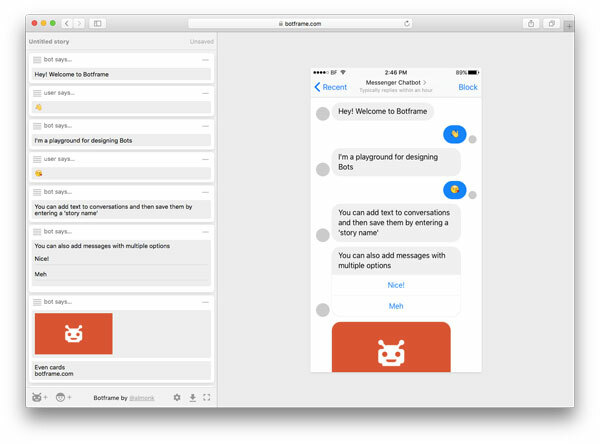 BotSociety offers a smooth way to sketch out a messaging bot to understand and test the user flow of a conversation. According to its creator @almonk, Botframe is a “playground to design bots.” It lets you easily create a mockup for a chatbot conversation. The result is a nicely looking screenshot (here’s an example) in the style of a Facebook Messenger chatbot. Nothing interactive or super fancy, but way faster than opening up Photoshop and creating it yourself. You can also check it out on Product Hunt. Neat plugin that lets you display Facebook Messenger interactions on your website or in your web app. You can get it here. With Walkie, you can create mockups for Slack conversations. It’s even possible to export the dialog in JSON, which could come in quite handy! Here’s the Product Hunt thread for more discussions. 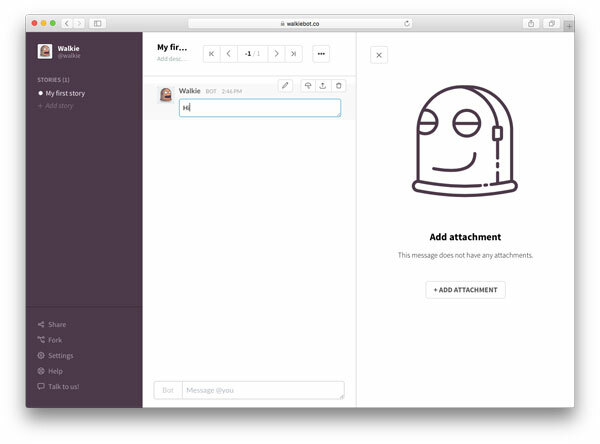 Layer is a service that helps developers build messaging functionality into their products. 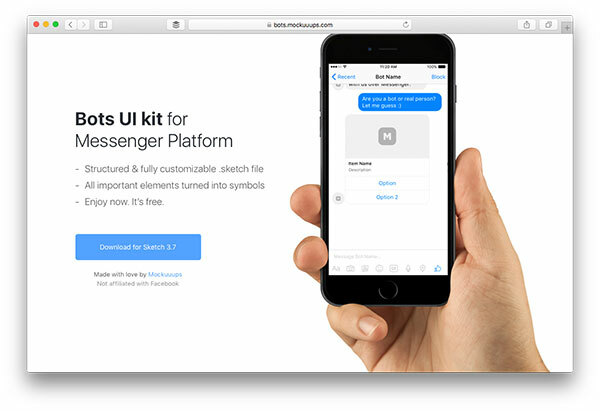 Obviously, the scope of this design kit (since it’s messaging in general) is a bit bigger than just chat bot design, including rich media cards and vector icons. 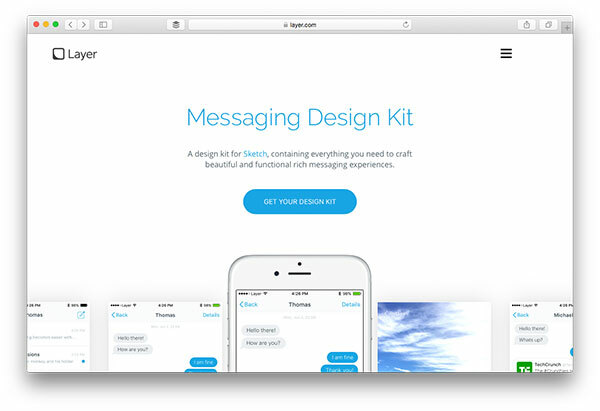 Nonetheless, it offers an interesting toolkit for wireframing messaging experiences. You’ve created your chatbot, what now? It’s time to market it. Here’s a list of useful resources to set up a landing page for your chatbot. 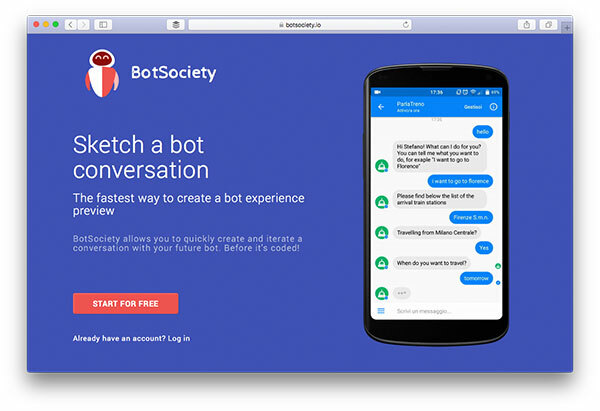 Bootstrap template for a chatbot landing page. 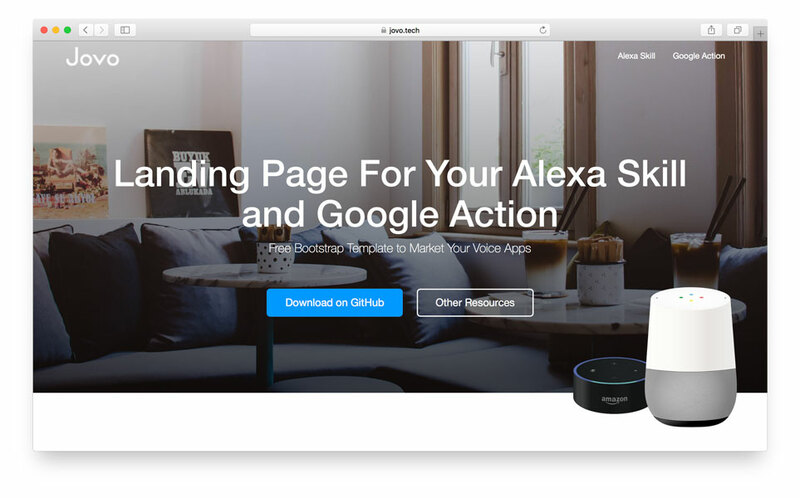 Market your cross-device voice apps with this landing page template. Find all the resources here: Jovo Resources. Header photo by Tim Gouw, emojis by EmojiOne! My name is Jan, and I co-founded Chatbot Academy together with my friend Alex Swetlow. I have more than 5 years experience in product management and product marketing, and previously founded HashtagNow, a social news startup. I studied Industrial Engineering and Management at the Karlsruhe Institute of Technology (KIT) and UMass Amherst, and lived and worked in New York City and Berlin.